Uf-da! 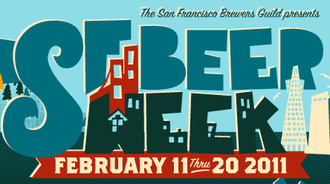 It’s gonna be one exciting SF Beer Week this year! I’m downright verklempt about the number of awesome events that have been put together. SF Beer Week is really about showcasing the amazing flavors, fun, and culture of beer, and those are the types of high-quality events that your favorite breweries, restaurants, and bars are putting together. Call yourself Jacques or Jane Cousteau, because after going to a few events, you’ll find yourself quite the explorer of the species, habitat, and culture of beer (at quite a liquid depth, no less! ).